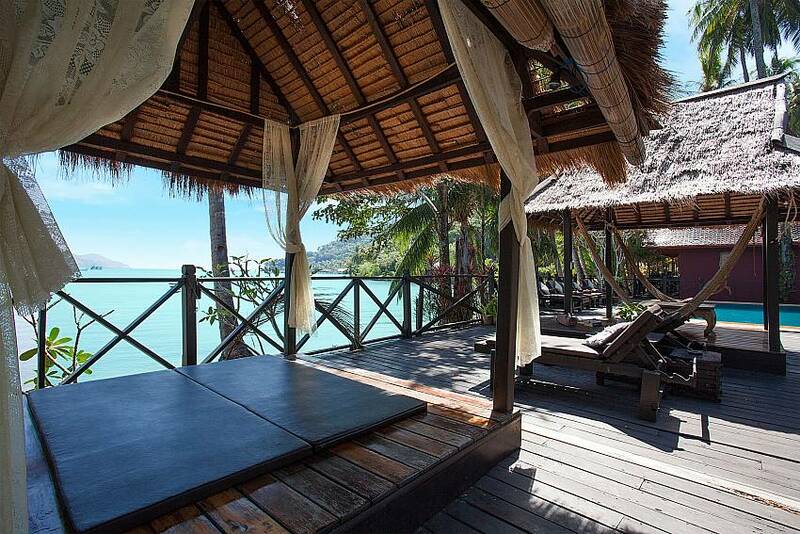 Awaken your artistic side and creativeness with this jaw-dropping resort villa that will inspire you in so many ways. 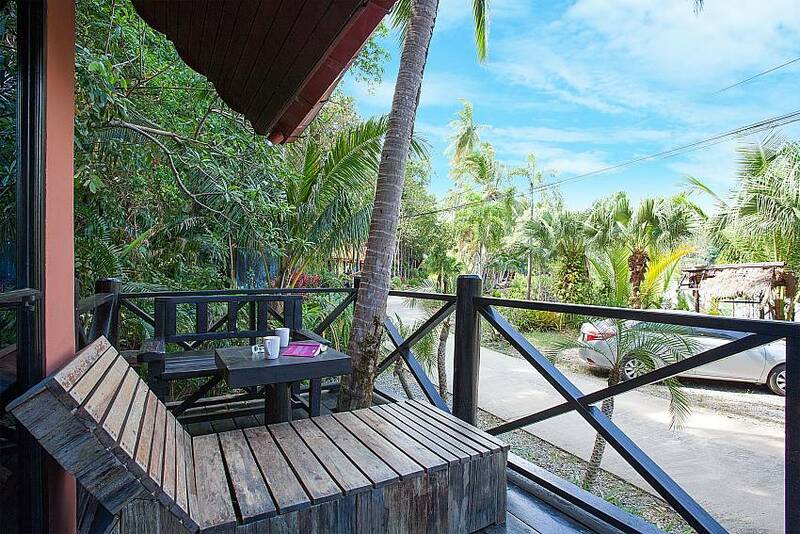 Located in a picture-perfect beachside resort at the Southern Tip of Koh Chang at Bang Bao, this villa has 1-bed and partial sea-views. 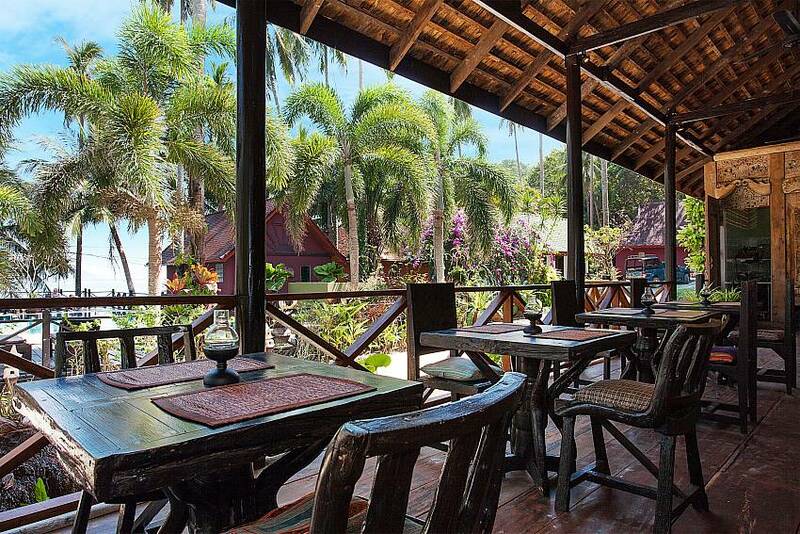 Creating that special tropical Thai island experience, this resort, along with its communal facilities, is a real find. 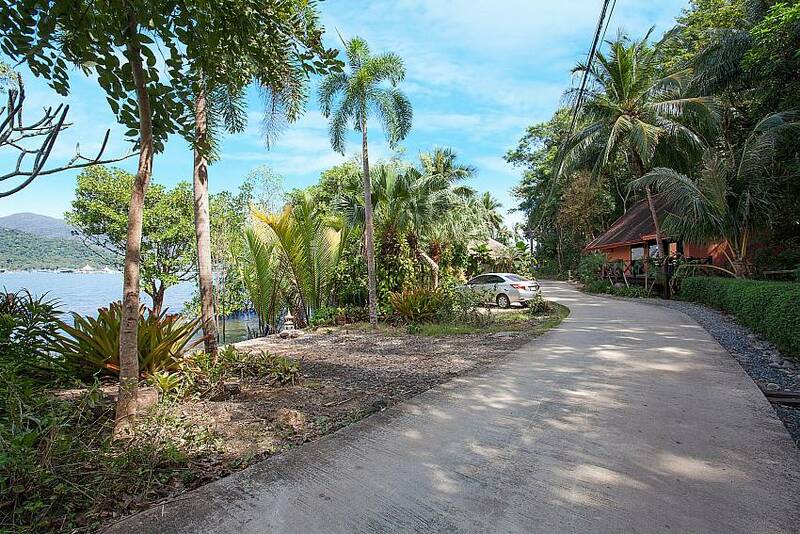 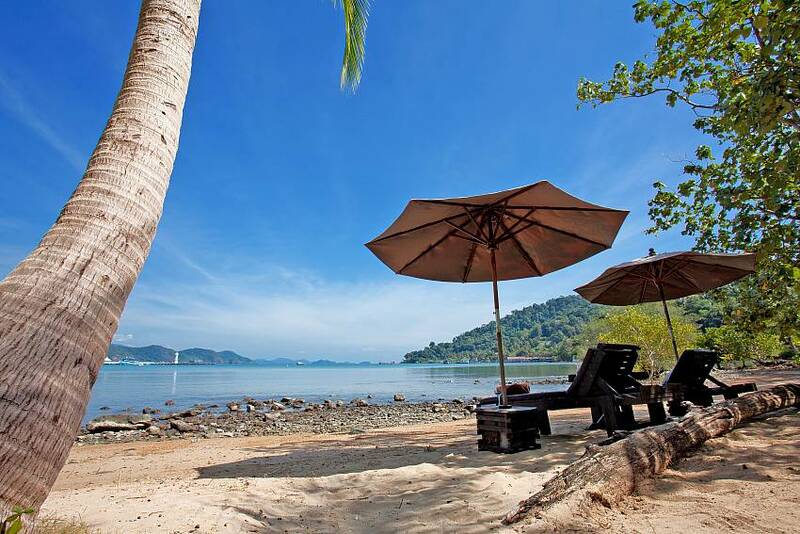 When you want to take your Thailand holiday to the next level of consciousness, experience this 1-bedroom villa in a stunning beachside resort/retreat in Southern Koh Chang. 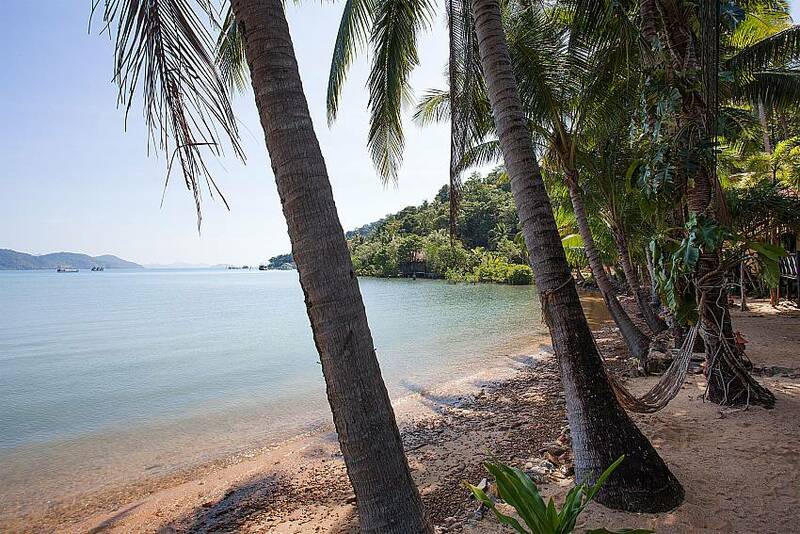 Combining a refreshing jungle location, world-class facilities and impressive sea-views, this option really does have it all. 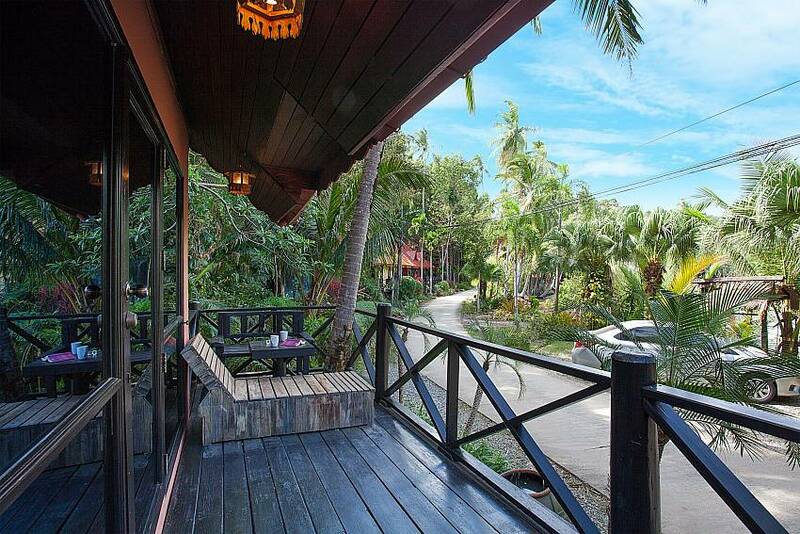 Sit back on your covered outdoor terrace and bask in the partial sea-views and pulsating jungle terrain. 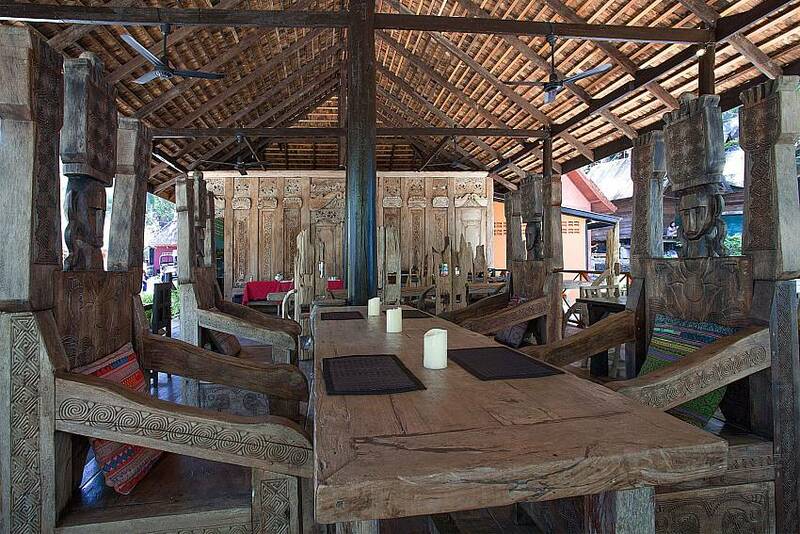 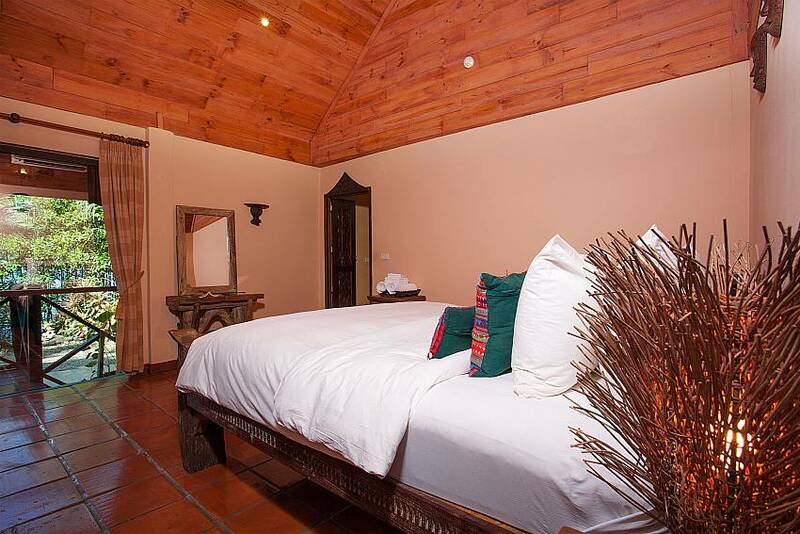 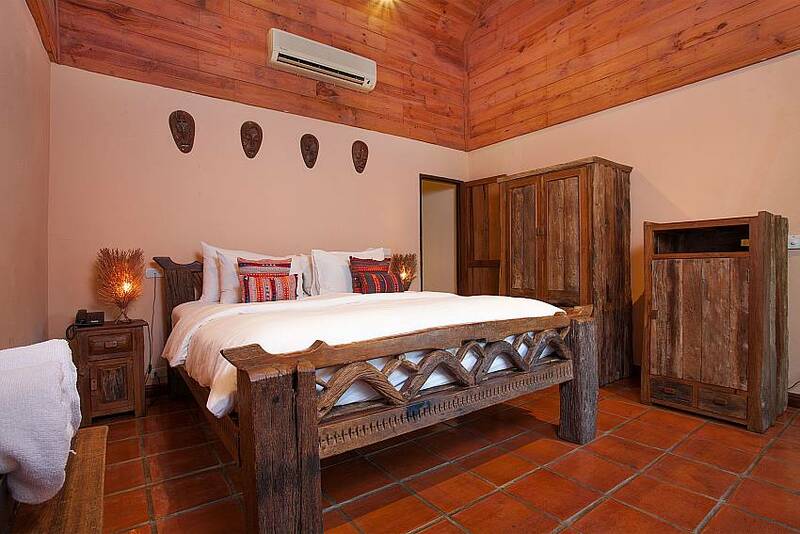 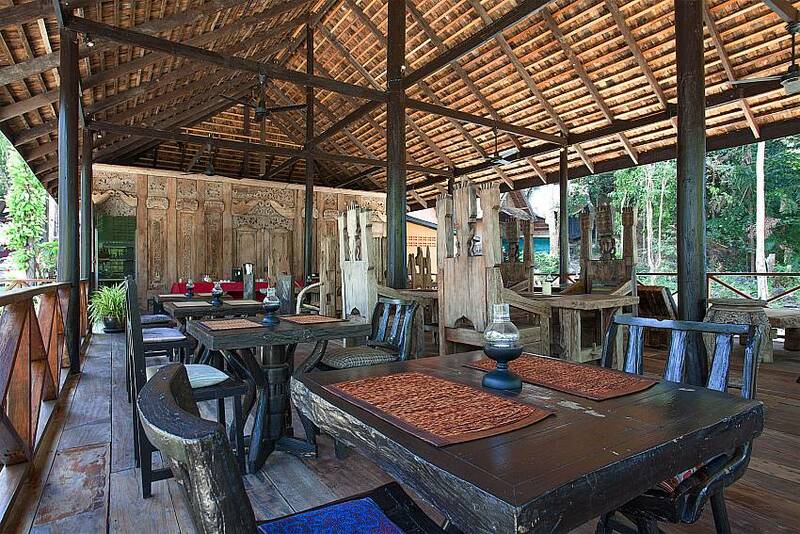 Inside the villa, you will find some breathtaking furnishings and vaulted ceilings constructed entirely from ancient reclaimed teak that give the property authentic Asian flare. 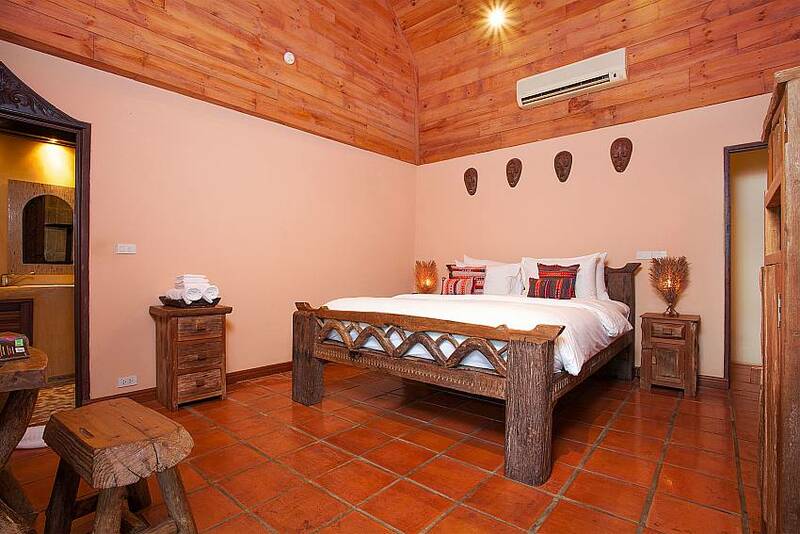 There is one main living/sleeping space that combines a king-size double bed made from teak with a Balinese style daybed/sofa. 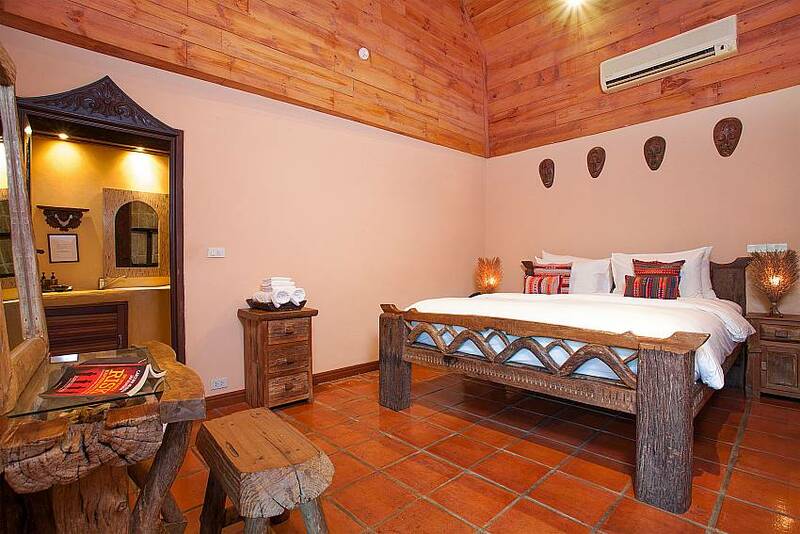 The villa sleeps 2 adults and 2 children under the age of 11 years old. 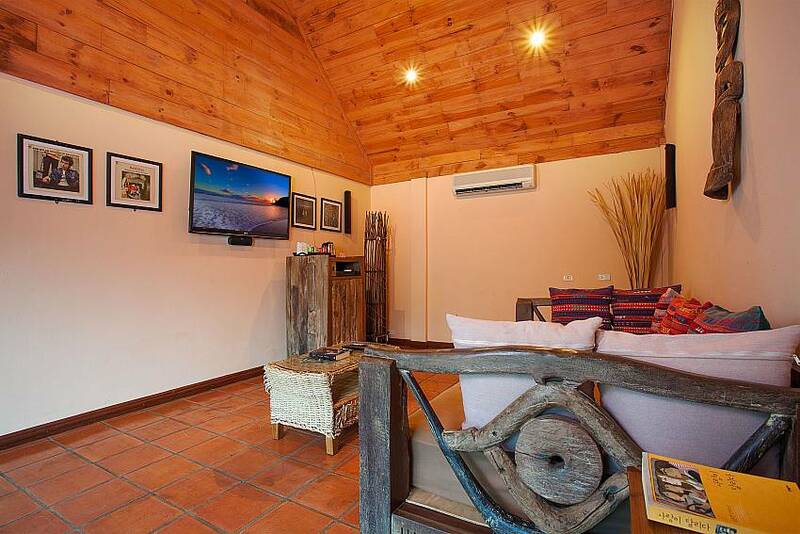 The lounge area is also part of this space and comes with a flat-screen TV with satellite channels, and a Sony Surround Sound music system. 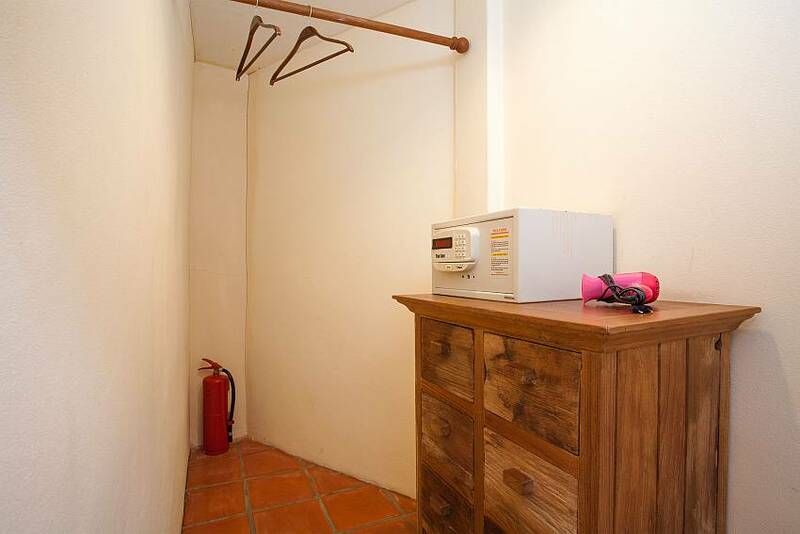 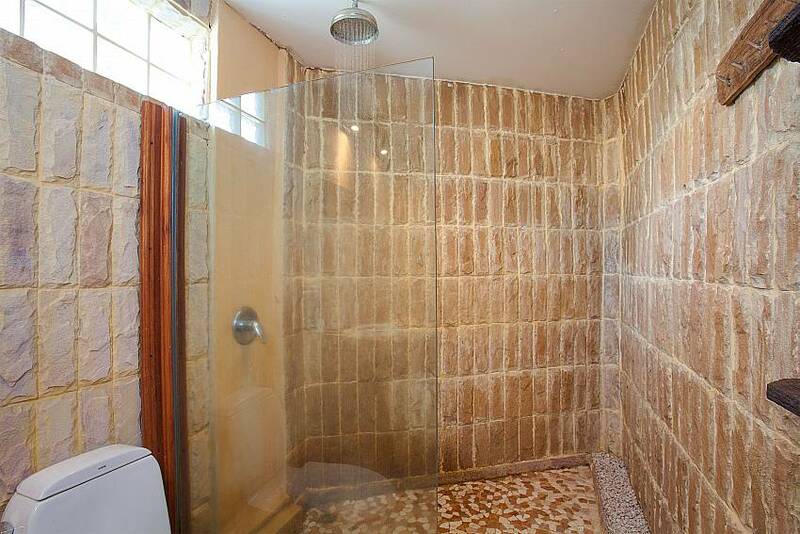 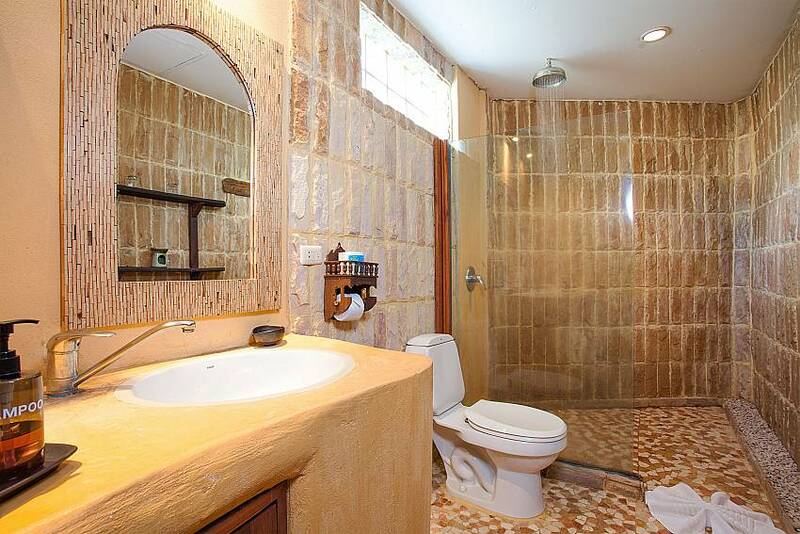 There is an adjoining ensuite bathrooms with a rain shower, toilet and wash basin. 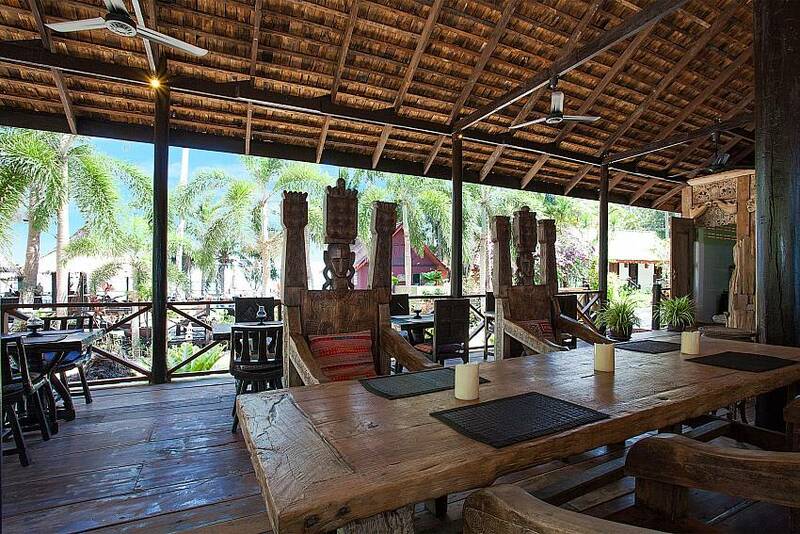 There are many villas of varying sizes and styles throughout the resort, so if you are visiting with a large group, there are choices for all your party. 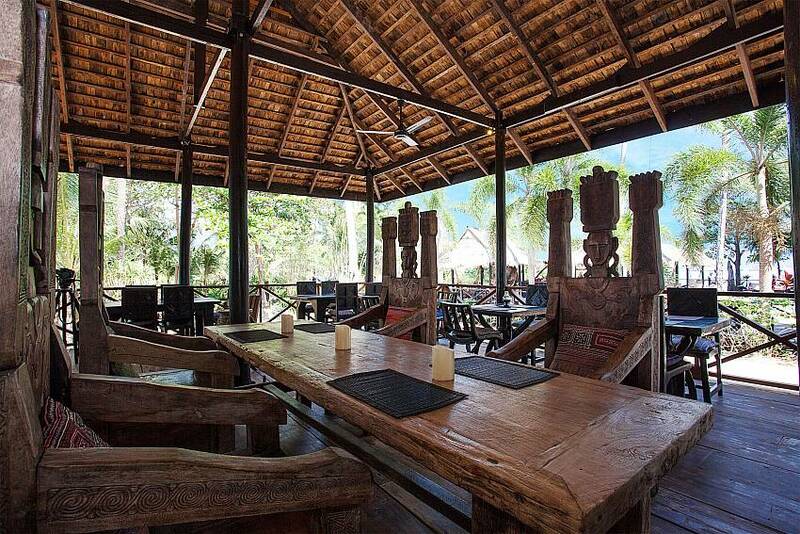 Daily made services and Wi-Fi internet are inclusive of the price. 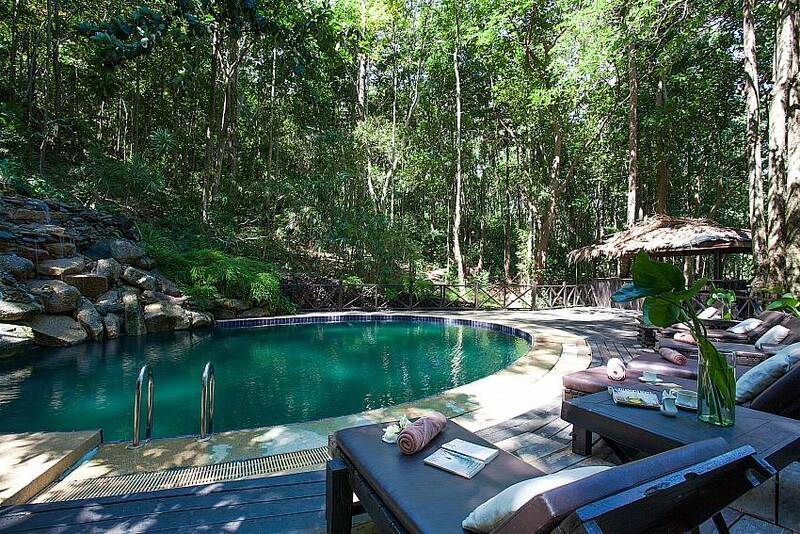 This literally is an authentic jungle retreat, coming with a beachside swimming pool with a bar and Thai lounging salas, a jungle swimming pool with a large wooden terrace, a stunning sea-view terrace up in the trees and an onsite restaurant that is known for its high-quality cuisine. 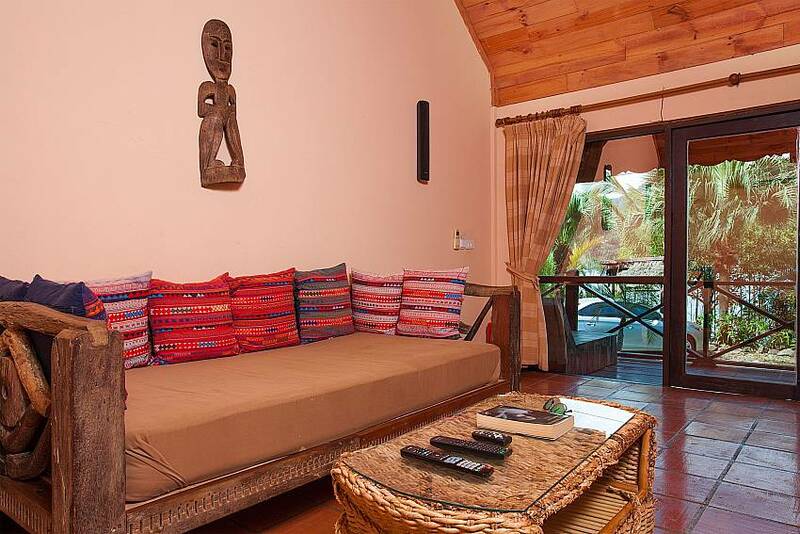 The location of this villa and resort is perfect for those who seek peaceful serenity or an authentic tropical island experience. 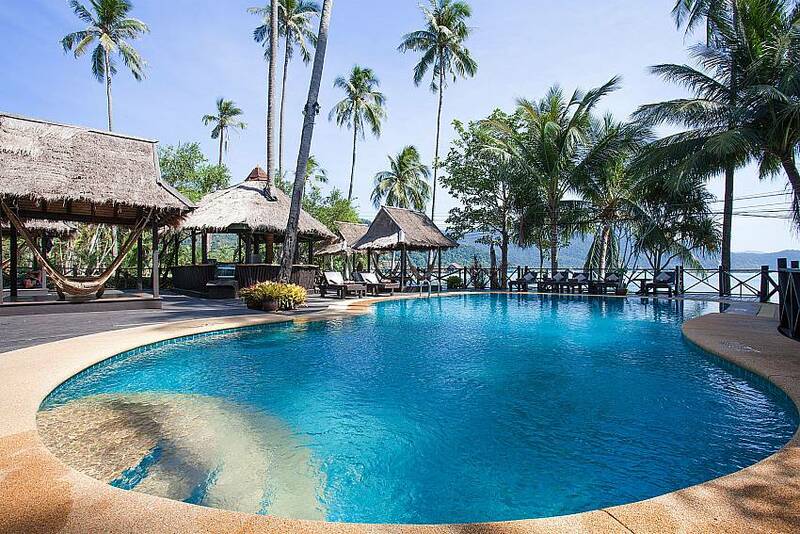 Located directly on Bang Bao Beach in southern Koh Chang, a 45-minute drive from the ferry terminal, this is a special resort. 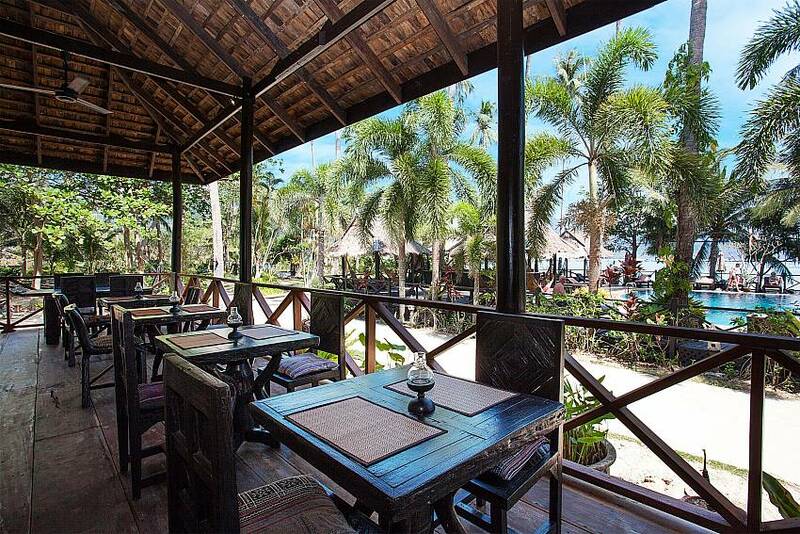 Although there is a restaurant in the resort, there is also a great choice of bars and eateries just a 5-minute drive away. 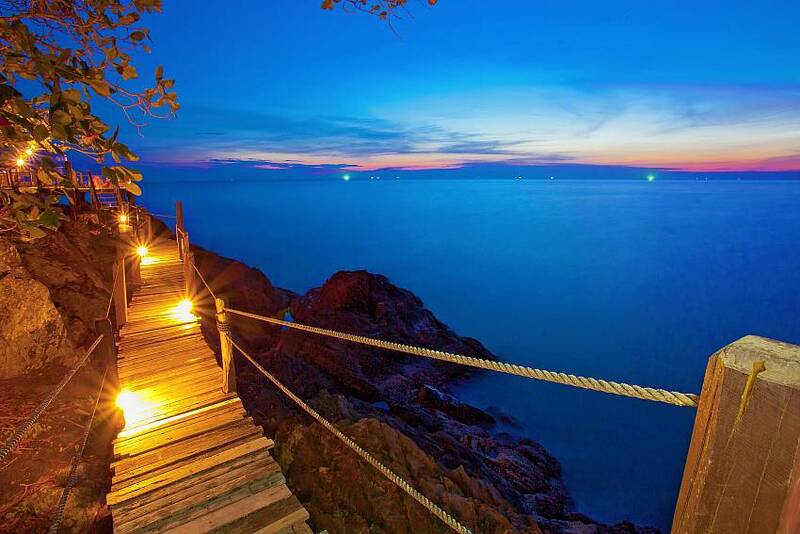 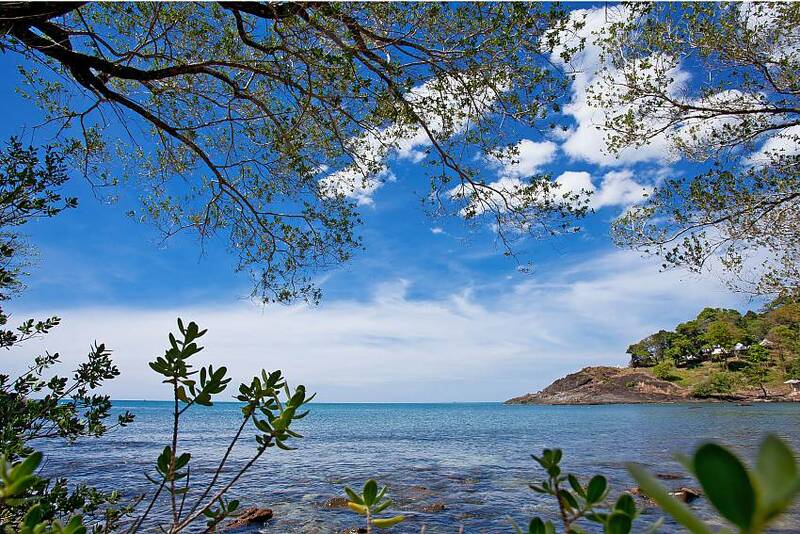 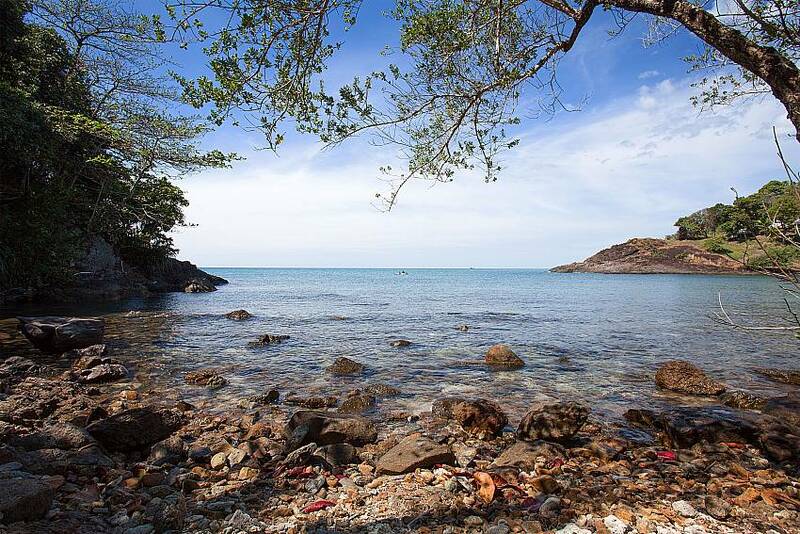 Popular Koh Chang attractions such as Ban Kwan Chang and Klong Plu Waterfall are a short driving distance away. 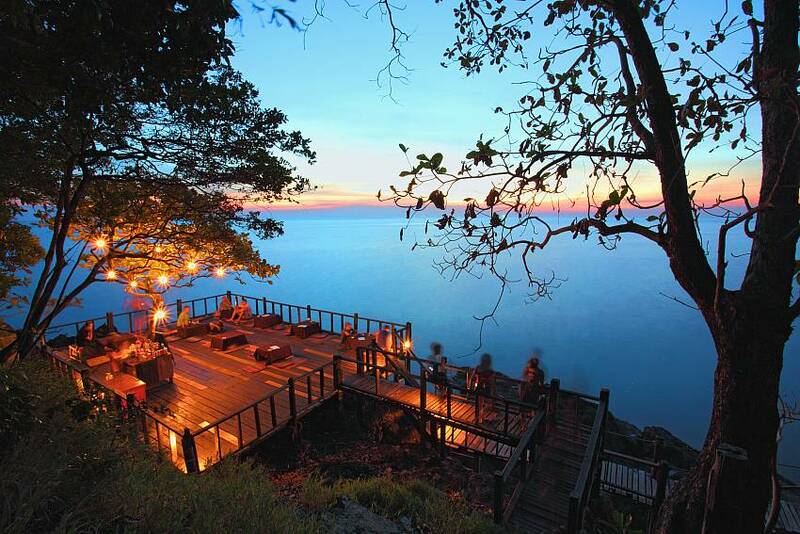 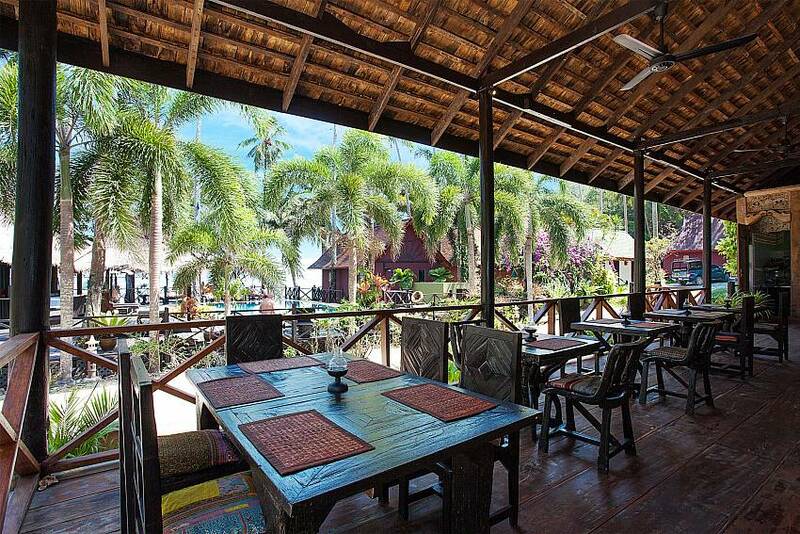 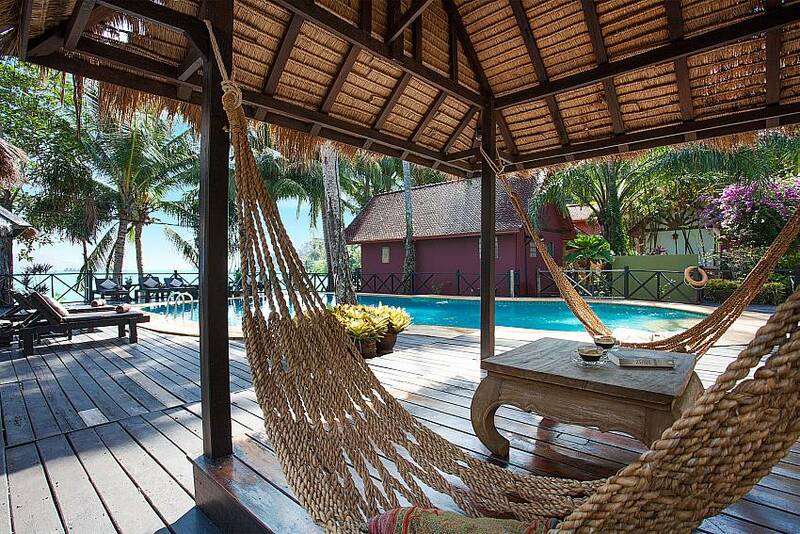 Please click here to view more breathtaking Koh Chang Villa rentals!